Following graduate school, Jennifer was awarded the 2006-2007 Taunt Fellowship at the Archie Bray Foundation. 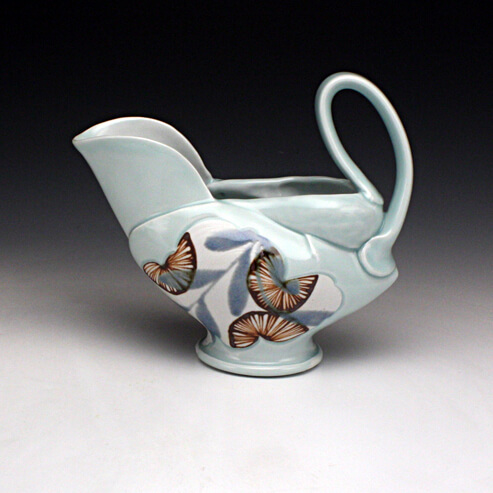 During the 2008 NCECA Conference, she was recognized as an emerging artist. Among other awards, Jennifer was named the 2008 Myer Fellow Resident Artist at West Virginia University in Morgantown, WV. She currently teaches part time at West Virginia University and keeps a personal studio. Her work is represented nationally including The Clay Studio in Philadelphia, PA, Northern Clay Center in Minneapolis, MN and Red Lodge Clay Center in Red Lodge, MT.